Nothing matters more than live meeting impact. Make every live meeting decision count toward your success. Take the guesswork out of your results. Quantify your live meeting outcomes and impact every time. Let us take care of what keeps you up at night. Keep it simple; make it work. we want to make sure you have everything you need to succeed. If it's on your mind, chances are we've already thought about it. 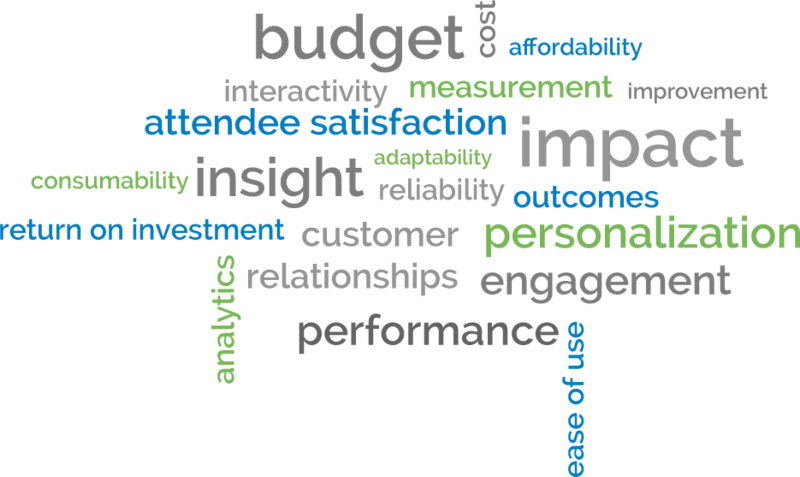 As the live meeting decision maker, you own the budget, but you care more about a measurable return on investment and the certainty of impact for your event. When you consider the cost of filling the seats at your event with the right people, you want to make sure every moment is well spent. As the live meeting business champion, you are responsible for the outcomes of the overall program. Since face-to-face time with your participants is one of your most important keys to success, every moment matters.